Who doesn’t love a good success story? I know I do. It’s a large part of what keeps me and this blog going day in, day out. And anecdotes matter. They add further credence to the Primal Blueprint, they have the power to inspire and they give us all a little insight into how others are living their own Primal lives. 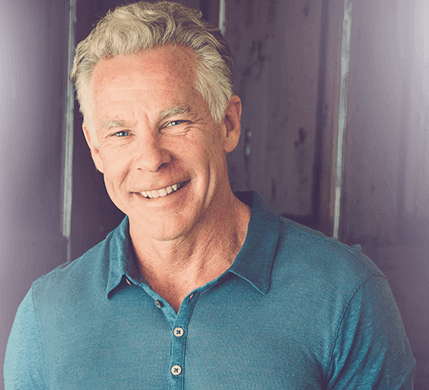 If, after reading these success stories, you’re jonesing for more, check out the success stories pages on Mark’s Daily Apple or the success stories category. And if you have your own story and pics to share shoot me a line here. Happy Friday, everyone! I used to be a frustrated 178 pound, 5’7″ tall female. I’d had some success with programs like Weight Watchers and Alli in the past, but they were always short-lived. After awhile on those programs, I got hungry and I got tired of depriving myself of food. So I ate. And I gained weight. Even though I was logging in my running miles nearly every day, I could not lose weight without major dieting. In March 2010, my sister introduced me to MDA. She didn’t need to lose weight, but raved about how much better she felt overall. At first I was skeptical. You know the knee-jerk reactions: “It’s not healthy to cut out an entire food group”, “Low-fat is the best way to lose weight”, “I can’t live without my Fiber One bars”, etc. Even though I doubted the Primal concept at first, I read some pages on MDA and started thinking. As a science teacher, the premise behind it made sense. Also, the success stories were compelling. I had recently gotten engaged, and thought it would be nice to lose some weight before the wedding, but I didn’t want to go on any drastic crash diets. I finally decided to try it for two weeks and see how it went. It was amazing. Within the first week I could see improvements. I wasn’t hungry every 2-3 hours! I had enough energy at the end of the day to run around outside with my dog! And I was losing weight. I felt like I was cheating, because I wasn’t “trying” to lose weight. I didn’t measure or count anything. I ate as much as I wanted whenever I was hungry. I was very surprised how quickly I got over the cravings for grains. It was much easier than I thought it would be. I stopped running, and started walking, lifting weights, and sprinting occasionally. I started adding the occasional IF, usually just as a skipped meal. Now, I’ve reached the six month mark, and I’m not turning back. I feel great, and I look pretty good too. I’m down to 158 pounds. I still have a little ways to go, but I’m trying to stay relaxed about it. I know that if I continue to eat and exercise Primally, I’ll get to my healthiest weight and body composition, whatever that may be. About the pictures: The first one was on March 19, 2010. 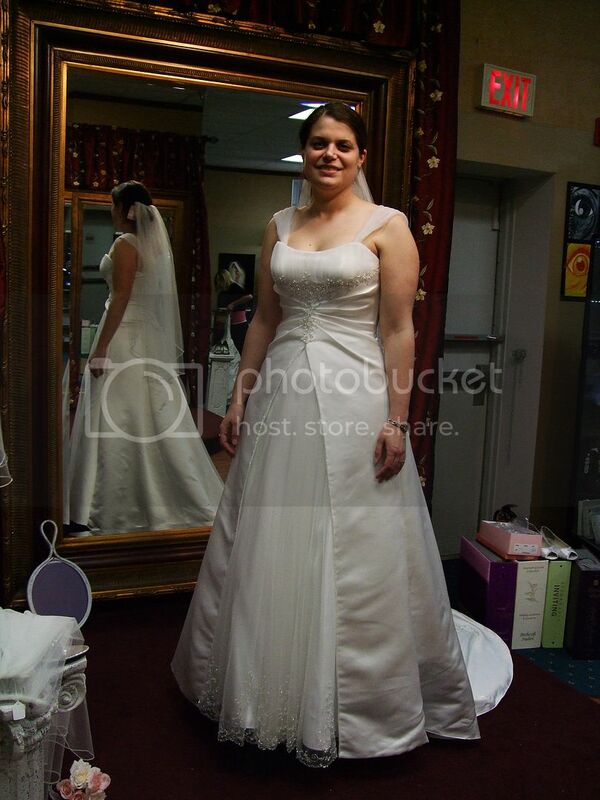 I was trying on wedding dresses, and found “the one”. 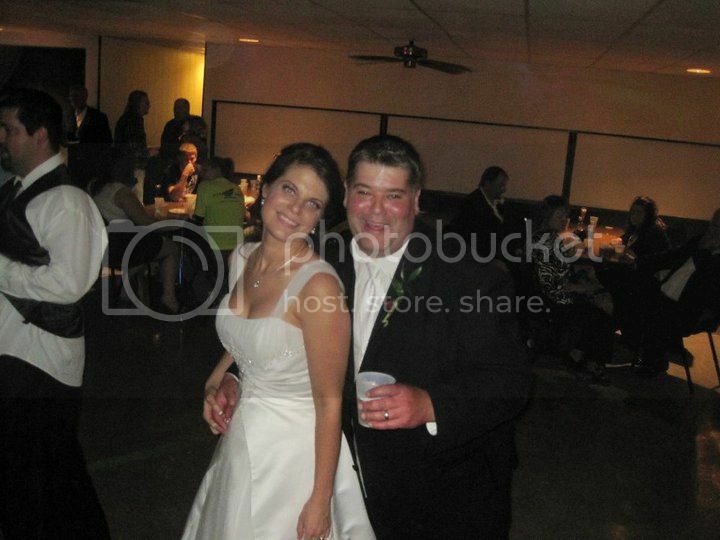 The second picture is from my wedding reception on September 25, 2010. I am an Athletic Director at an international school in Santiago, Chile; having arrived here this past July, from another school in Bangkok, Thailand. I am 57 years old (like you! 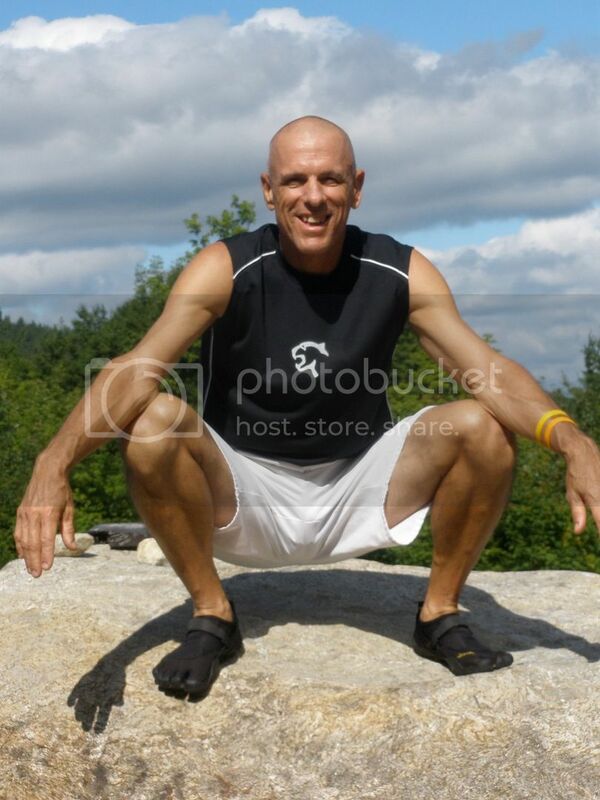 ), and I have been endeavoring to follow a Primal lifestyle for just over two years now. I had previously tried being a vegetarian, and then added some fish, but I did not feel much different or better. So, I started eating Primally and after the first few weeks (a tough adjustment with deleting all the grains and starchy carbs I had been eating), I began to notice some changes. I no longer would get any bloated/gassy discomfort, and I always felt “lean.” Additionally, my energy level increased and I honestly now feel like I have more energy these days than I did 5-10 years ago! 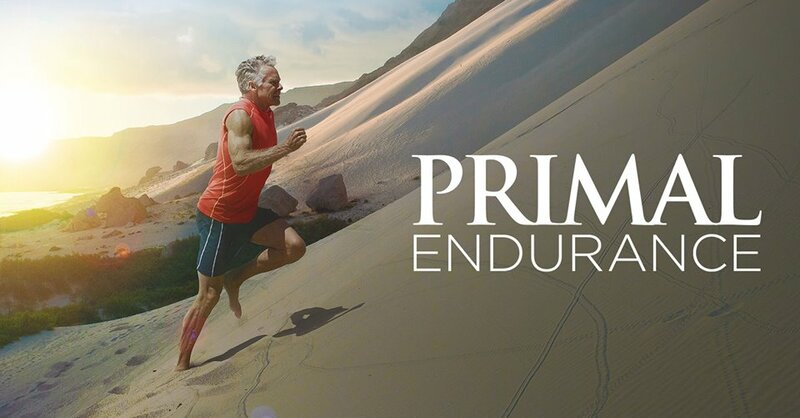 I have recently started the Primal Fitness routines and exercise suggestions, and the overall flexibility of the program has helped greatly – it is easy to adapt and modify depending on your schedule, and your overall motivation levels. Plus, I feel that I have gained a great deal of “functional fitness,” which is crucial. I also continue to use my TRX suspension trainer, and usually try to work out in my Vibram FiveFingers, along with doing various other bodyweight/core training workouts. Overall, I am feeling great as I enter my 7th decade on this planet! My real story though, is more about helping others, which you have made your “mission,” Mark. When I started living Primally and feeling/looking better, people started noticing, and would ask me questions. I then began to spread the many benefits of this awesome lifestyle. 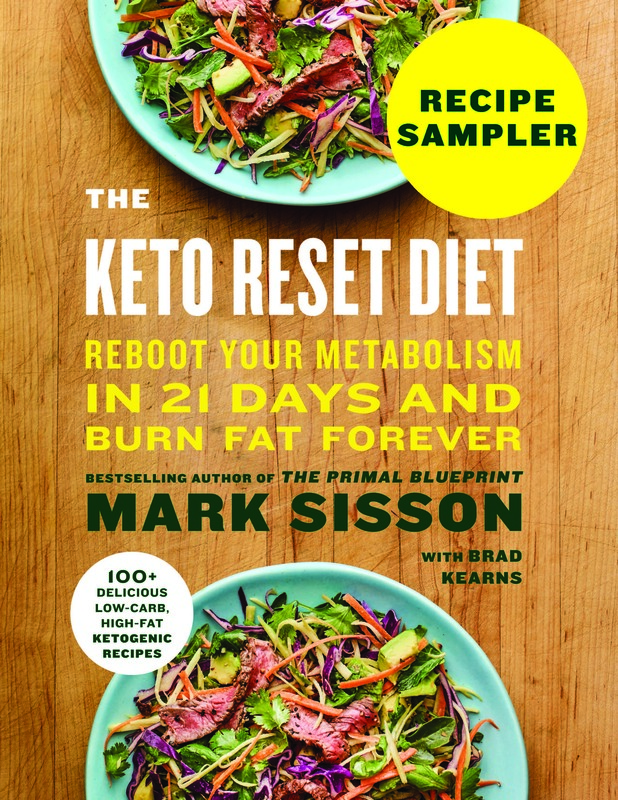 In the past two years, I have purchased around 15 copies of THE PRIMAL BLUEPRINT, and given the book as a gift to friends whom I felt were truly interested, and would “give it a try.” I have also bought some Grok On t-shirts for some good friends who have “gone primal,” and I continue to regularly purchase some of your supplements, and recently some new Primal Fuel and the Primal Leap Kit. Reading your website daily and feeling the great effects of being Primal has really made me want to share as much info as possible with friends and colleagues. When I receive positive feedback from people, it is a great feeling – one which you experience every day, Mark! Just wanted to say thanks again for changing my life. Had a great summer. Bought the FiveFinger KSOs, and working out is even more fun than before! Big difference. Being in the states was challenging for me in terms of eating Primal. Stayed with my mom and dad, and they eat like typical Americans. Been back in Bangkok for a month now and have regained all the strength, explosiveness, and stamina that I lost in the US. Amazing how one month of eating junk can change the body’s performance. I now feel and look great again. I have lots of energy and feel totally rejuvenated in life. I owe you so much. I have several other affirmations from friends and even some high school students also, but I have gone on long enough already. I often get funny looks and comments when people see my FiveFingers shoes on my feet, and many others wonder why I refuse to eat the typical “conventional-western” diet. I try to explain the many reasons, all based on research and evidence (thank you again! ), but most just shrug me off and think I am nuts – including some of my own family members. Yet, this only encourages me, as I am definitely committed to staying on this Primal journey, and I will continue to spread your message to whomever I think will listen. I am convinced that this is the ONLY way to go, and I now think that my next job will be in the health-fitness profession. I agree with my friend Andrew – I owe you so much, Mark! Thanks for listening, and as always – GROK ON! The most I ever weighed (that I know of) was 324lbs. Thanks to finding Mark Sisson’s Primal Blueprint, Dr. Bernstein’s Diabetes Solutions, and the Free the Animal blog, I am now a much slimmer 225 lbs. 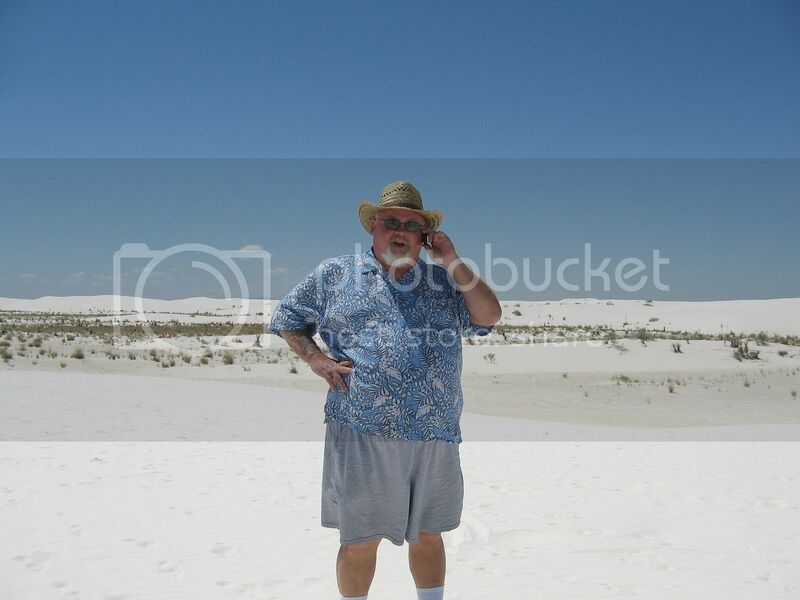 This was taken last summer on a trip to New Mexico. I know I’m over 300 lbs but not sure how much over. Pretty sad, ain’t it. This was taken tonight, 11/1/10. From a 56″ waist to 40″ jeans being a big big. I’m wearing size 3X shirt and shorts in the first pic and size XL in the after pic. I won’t lie to you and tell you I lost 30 lbs and went from a 3XL shirt to a large, I didn’t. I went from a 3XL to a XL over a period of 10 months and at least 75 lbs (probably closer to 90 lbs). I also won’t tell you all my health problems are solved. They aren’t. Am I healthier and happier? Damn right I am, but I still have diabetes and take medicine for it and still have sleep apnea. BTW, losing weight rarely “cures” sleep apnea, it has more to do with the way your throat is built than your weight, but excess weight can make it worse. In my case, my pressure needs have not dropped. I remember being told about your book and ordering it that day from you. I was desperate to change and knew if I didn’t I was going to have a slow miserable death. I remember making the deal with myself that I would eat this way for one meal at a time at first. It worked. It was amazing to watch the pounds fall off my body. I am convinced that this is the only way to live and I hope my short story can be of some use to you. I still have a ways to go, and the going has been slowed down due to having a pretty bad spinal stenosis that is going to require surgery. I can’t do the workouts I used to do but I’m really looking forward to getting back to that after my surgery the end of the month. Jeff Hopkins – Pauls Valley, OK. I love these success stories! They keep me going and striving to be my best Primal self. Thanks for sharing! About the sleep apnea. My wife did a sleep study and learned that she basically temporarily stops breathing and comes out of deep sleep for some reason. She was sent to the dentist to have a special mouth gaurd made that pulls the bottom of the jaw forward a bit. The results were amazing for her, and the lack of snoring is great for me. She was her dentist’s second client to get one over a year ago. She just want back to get a replacement, which is now even less intrusive and made with some flexibility so she can talk a little with it in. Her dentist said he now has made them for himself, his staff, and many others due to how great it works for snoring alone. I recommend anyone with sleep problems consider it, it’s not an awful contraption. Congrats to all on the positive results. I used to have problems with apnea, even as a 6’0″ tall 160 lbs. I tried the dental device, but tests showed that I was even worse with the device! The dentist told me I was his first “failure”. The sleep doc was stumped as well, and it was really taking a toll on me. I would start to go to sleep, then wake up. I was getting hardy any sleep. The sleep study showed that my stage one was light, but his studies, as opposed to the dentists studies, never showed any apnea. He gave me a sleeping pill to get me past stage 1 sleep, and it helped. I don’t like taking pharmaceuticals, so I tried the herb valarian. It’s been a couple of years now, and with the valarian, I sleep great every night. I’m “down and out” in less than 5 minutes after hitting the pillow, and no more apnea. And I wake up refreshed. Is your wife still have good results with the mouth guard? These people are looking great. 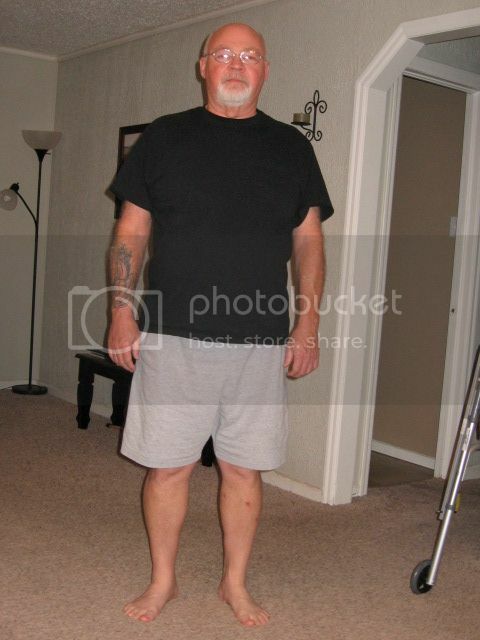 The last story was really amazing, losing 75-90 pounds. I had sleep apnea as of the end of last year. Waking up at night unable to breath, STRUGGLING to take a breath in my dream…really scary. It happened fairly regularly. I went from 205 to 165 and no longer experience that at all. Ever. I barely even snore anymore. I used to snore enough to wake the neighbors. I believe weight is a big factor. It seems that all the fat that was on my neck, chest and upper abdomen would tend to slide up to my throat at night and cause it. But I’m not learned in the ways of physiology so I could be completely wrong about that, its just an intuitive supposition on my part. But I know I haven’t experienced those symptoms in quite some time now and the only thing that has really changed is my weight. Wow, these are great stories. I have gotten back onto the Primal wagon after having a doubting attack. I hope to one day add my story to this board! Mark Sisson, I think you are the bomb and all that. I tried hill sprints yesterday and got my blood sugar down to a level that usually requires me an hour of cardio to get. The best part? My dog loved it too! Now the wife and I are talking about getting out more. Thanks to You, and Grok! Awesome!! Thanks everyone for sharing!! Thanks so much for continuing to include these stories. It’d be great if we had a “Success Stories Saturday” or something where we’d get them in a weekly dose. They really help reinforce my decision to go Primal. I especially like it when I can find enough in common with the people’s “before” stories to be encouraged for my own progress. It’d be even more wonderful if people shared their transition strategies — e.g., how did they get really going on Primal, was it gradual, was it cold turkey, how do they make their lunches. Anything specific would help me, so I could put it in my toolbox. Thanks again, Mark, you are changing the world, one life at a time! The ONLY way to prove that sleep apnea is gone is to have a sleep study. Sleep apnea and snoring are two different things. I hear all the time that people think they are “cured” from sleep apnea but again, the only way to prove this is with another sleep study. We all get blood work to see how the diet is doing us so why not the sleep study? Jeff, getting down off my soap box now. I just know what a killer sleep apnea can be. Great ATTITUDES along with the great success! 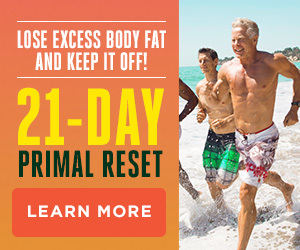 One thing that constantly stands out in these stories is how bodies kick out of fat-storage mode and tremendous amounts of time-consuming exercise is no longer needed for weight loss. Gosh, I can’t tell you how much I love these stories. I do an exercise called T-Tapp that while a home exercise program from Teresa Tapp is based on the same Primal principles. I see very similar before and after pictures and stories from people who exercise that way. So inspiring! And Laura you looked beautiful! Way to go Laura and Jeff! I am a vegetarian – and that means no meat, no fish, no seafood whatsoever. 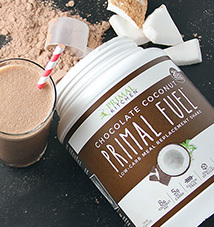 What are my Primal food options? Eggs, vegetables, fruits, nuts (some), coconut oil, butter. You’ll probably have to eat a lot of eggs though if you don’t eat meat at all. Thank you for the amazing success stories! I love to see fit people over 50! I love to see over 50 success stories! I’m only 34, but it gives me a lot of hope! 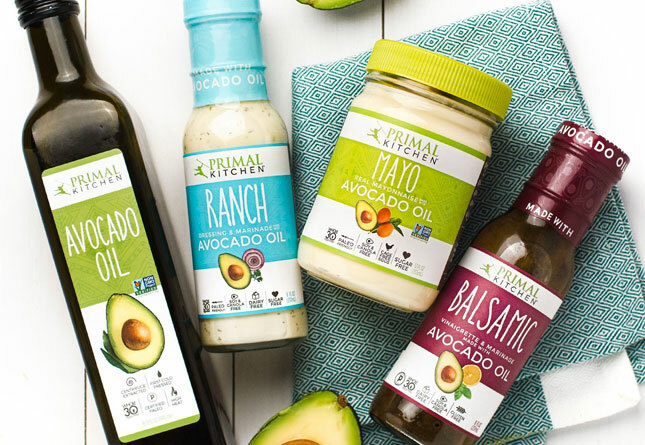 I was vegetarian until a few weeks ago (5 years vegan, 5 years vegetarian), and i went to mostly primal by eating veggies, fruit, nuts, seeds, oils, and eggs. But, i found i was hungry, so i added in meat as my hunger guided. i started with fish, then chicken, then pork. I still haven’t had beef. I eat meat once a day or every other day. the meat that i buy is pasture-raised, organic, and butchered on the farm. I feel comfortable with the ethics of this, and how it fits in with my current lifestyle and various needs. You may (or may not) find it similar. 🙂 Blessings on your explorations! Mark these are great inspirations!! I love reading them!! I agree they should be weekly. I can’t wait to email you with mine one day! I have got a bit of weight to go yet!! I like the honesty/well-roundedness in the stories (especially the last one) and on your website in general. Your website gives a better perspective and cuts on the “magical-ness” that the other dieting/eating programs advertise. Sally, you make a very good point. A great deal of the appeal of this website is its reasonableness, civility, and tolerance. Very rare on the intertubes! It’s much easier if you eat dairy and eggs, of course. I also give fish, so I’ve been eating more of that. Tempeh is a good protein source, and since it’s fermented (and not heavily processed) seems to avoid some of the problems that soy products such as soy milk or processed soy meat etc have. He bought a commercial jaw-extender/mouthpiece thingie (I’ve seen it advertised on TV lately,s o they must be doing well), and it did the trick! Interestingly, he said he found that he had to get up to pee a lot less at night too — (he’s 60, prostate hyperplasia, anyone?). It’s not a ‘side-effect’ mentioned by the company — but it’s a great one! do you know what mouth piece he purchased? To the people who say it can’t be done, here’s to you. Keep inspiring others! The PB is too much fun to miss out on. The food, the exercise, the community. Who doesn’t love a steak with coconut oil? Who doesn’t love to sprint and lift heavy weights? Who doesn’t love to sleep like a baby again? Who doesn’t love to be surrounded by other health-nuts? Wonderful to read the success stories and well done to Laura, Bob and Jeff. I love that snippet that Jeff included how he started by just doing one primal meal a day. I’m wondering how I can get my husband interested in the primal diet and I think that would be a perfect way for him. Don’t bring anti-primal food into the house. Just don’t do it. Totally agree with CJ… its that important. Just Don’t buy it and don’t bring it in the house! Treat it like the poison it is. Watch movies like FoodInc, Corn King and We Feed The World Together. He’ll start to get whats going on. The food we do it is amazing though, hope he loves it! Hey Jeff Hopkins about sleep apnea. Did you know your dentist can make a night guard for you that aligns your jaw in such a way to prevent snoring, and sleep apnea? Tryed that and it doesn’t work. Like I said above, its the way the throat is built that determines sleep apnea. I tried everything before I got a sleep study and a cpap machine. CPAP works. I’ve been on it for 12 years now. Want to die an early death? Just pretend some device “cured” you. Others, like you, may be built in such a way that that’s not enough. Either way you’re right that nobody should _assume_ the problem is solved; using an alignment device or not, a follow-up sleep study would make sense to confirm all is well. Let’s be fair, the dental gizmo does work for some people. (see studies to that effect). So not everybody is pretending and courting death, here… That’s a tad broad. But yes, of course it’s worth confirming with a sleep study regardless. My husband has 2 different sleep apenas..one central nervous and the other obstructive. He is also on a CPAP machine and can’t imagine being without it now. It’s helped him a LOT. No more sleeping pills that turn you into a functional zombie for 3 days after. To completely cure his obstructive sleep apnea he would need his upper palate expanded to stretch the tissue thats being cramped into his air passages. Orthodontists that deal with functional appliances do this if anyone is interested in having this done. But most dental insurances don’t cover this and the procedure costs 2500,– US $ per jaw. Surgery is covered by regular health insurance but I’ve read a few bad things about it. Bone fractures, floating bone pieces and nerv damage frequently occurs doing rapid palatal expansions. But you get immediate results compared to 18 months – 3 years of doing a slow expansion through archwires. I have been in my SPE archwires for 9 weeks now and I’m quite happy with the results so far. My sinus has been draining like mad ever since and I’m completely off nasal sprays. I put a little rubber ring in each nostril to keep my ‘giant nose flaps’ from closing up when I lay on my side. I’m guessing after the 2 years are up I won’t even need those anymore. LOVE the success stories! Keep ’em comin’! Wow! Look at Laura’s face…no more puffiness…the “Elvis” look…and her arms are so much more trim. Congtatulations, Laura!!! Thanks. And congrats to Bob and Jeff! Lookin’ good kids! Keep the great success stories coming PLEASE! Perhaps my husband will one day READ something that doesn’t involve a sports score or boobies…lol. Thank you all for your gifts of insight to us! yay yay yay! 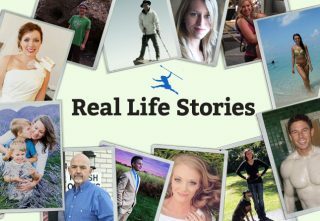 these stories are encouraging and inspiring! 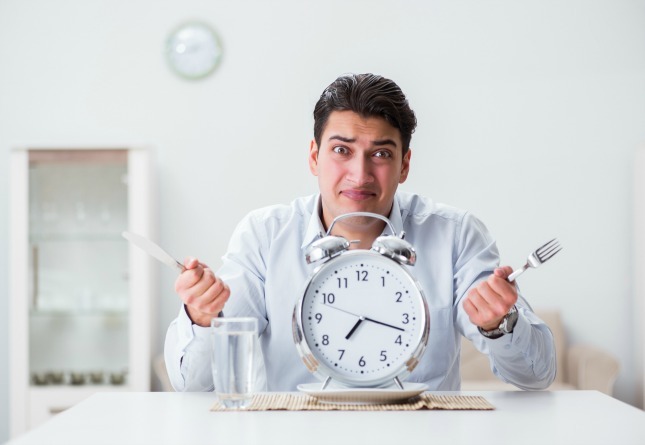 the story of the 2nd guy reminds me of how much i’d like everyone to understand how THIS is the way to eat and live–low insulin levels and better health. one of my closest friends is totally into carb, and has her 3-year-old addicted to candy and carbs, and it’s not something we can talk about because we each have deep reasons for believing what we do. to each his or her own–we are privileges to have choices. Thanks Mark for the success stories. I agree with the others – we all need this at least once a week. I’m slowly converting my SO over to PB. Success stories are really high on my favorite parts of this entire site. So inspirational!! Rock on Laura, Bob and Jeff! You guys are GREAT. I’ve been primal since April 7th, 2010 and lost ~ 20 lbs. I would be lower but I’ve added raw goat’s milk to my regime to get additional bioavailable calcium and other minerals for a specific reason. I am currently undergoing a slow palatal expansion on both of my jaws and want to get as many extra nutrients as possible. I don’t believe minerals from any supplements are natural even if it says so, so I’ve decided to also make bone broths. Since adding cod liver oil and high vitamin butter oil to my primal diet the changes in my overall bone health are dramatic. All my teeth used to be transparent and you could see the beige pulp within the tooth. My teeth now are so solid in color all the way to the tips that you can’t see where the pulp is. And a couple soft spots near the gum line on 4 teeth have filled in and are hard. I love reading about other peoples success stories, it keeps reminding me that I, too, am on a primal diet…lol, I don’t even think about it anymore, it’s a way of life now. I wish all newcomers the best of luck! How is your paletal expansion going. I am considering having this done myself. What appliances are being used and how did you find a doctor who would do this? More proof …we love it all and we love to hear from everyone..